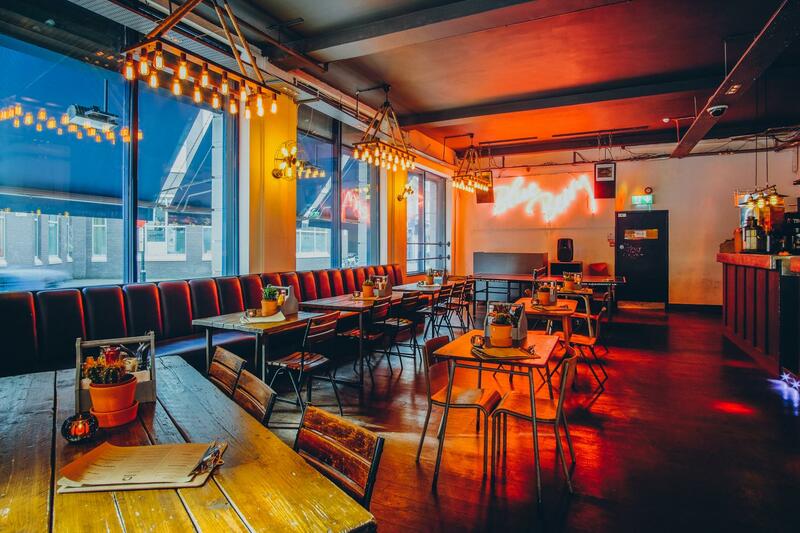 Sink is the latest innovation in night time entertainment to hit Shoreditch. Ping Pong is all the rage but Sink has put a good old fashioned American twist on it and brought the popular college game Beer Pong to our side of the Atlantic. We understand that on certain occasions exclusivity is required to maintain the integrity of your events whether that be for a client event or simply a big staff party. The main bar is available to hire however we also offer the flexibility to use our function room. Capacity is up to 250 depending on the layout and we are of course able to provide pong tables so you can run a tournament. You will benefit from having your own bar and bathroom facilities. 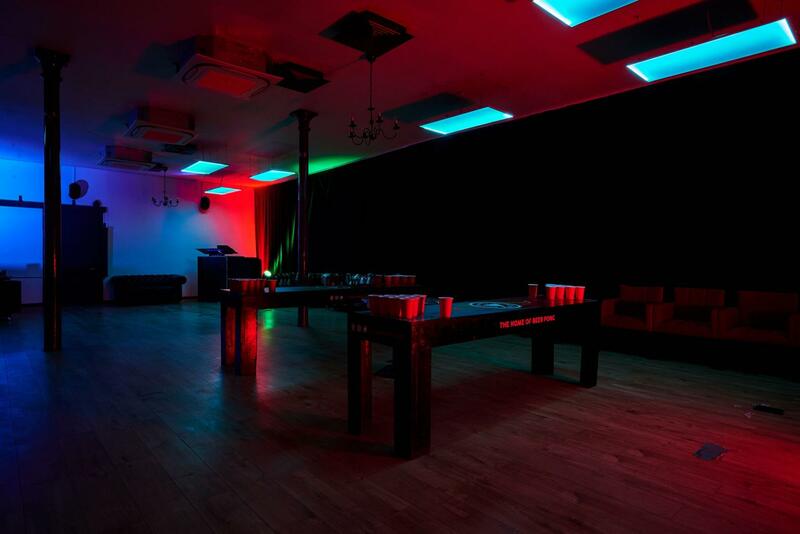 We will also provide background music and a fully stocked bar alongside staff and security. Right on the borders of trendy Shoreditch and the bustling City of London, you’ll find one of the best-kept secrets in town. A venue famous for it’s Pong (Ping & Beer! ), a wide range of draught beer, gourmet burgers that wouldn’t be out of place at a fancy chain and a surprisingly cheap drinks menu, this is a gem of a venue just waiting to give you the weekend entertainment you deserve. Showcasing a brand new look for 2016, crisp Funktion One speakers and an ever so slightly crazy crew of bar staff, this London hang-out isn’t to be missed! Located on the first floor is the brand new and extremely spacious private room. Gorgeous wooden floors feature throughout the room alongside a matching private bar. There's private toilet facilities and of course a bit of ping pong. A variety of hire options make this suitable for a range of events from staff parties, corporate receptions, Christmas parties, presentations, conferences, team building and much more. 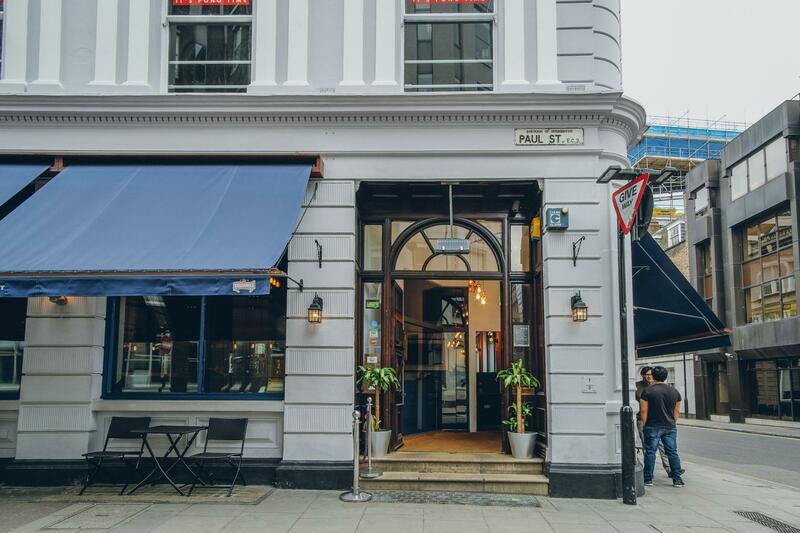 Just a short hop away from the City and within easy reach of both Liverpool Street and Old Street stations, Sink is in an ideal location for your exclusive event. There are options for both wet and dry hire giving you maximum flexibility to create the event that fits your needs. Catering options include a fully staffed and stocked bar, canapés and platters as well as having a recommended production company to create the perfect look for your event. SiNK also boasts a 2nd floor function room which is available for private hire. With a capacity of 150 people, the private space is a perfect venue for smaller functions or drinks receptions. 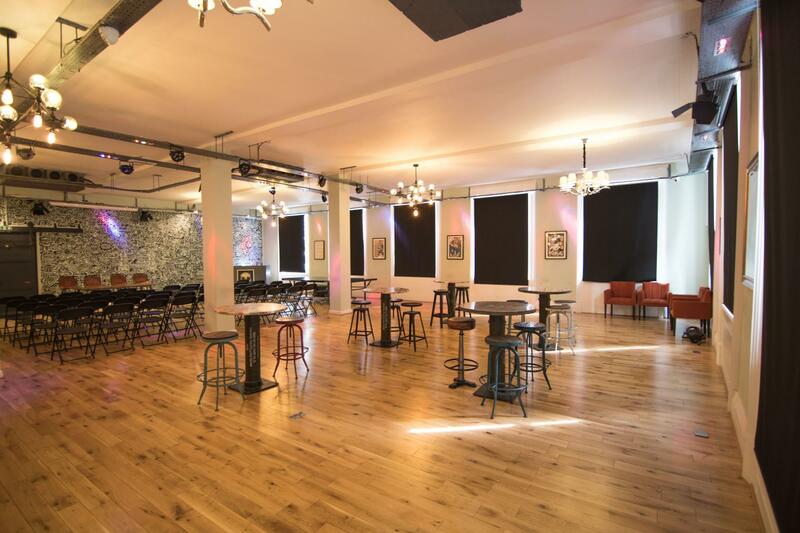 The venue is located on the borders of the City and Shoreditch with fantastic transport connections. It is completely self contained with its own bar and toilet facilities. The 2nd floor offers its clients privacy and exclusivity with a fully adaptable space to make it perfect to your specifications. Really helpful staff, great space, great value. Didn't have everything ready on the morning of the event (ie no plates/cutlery for food, projector not set up properly). But in general a good experience and successful event. Staff was very attentive and catered to all our needs.